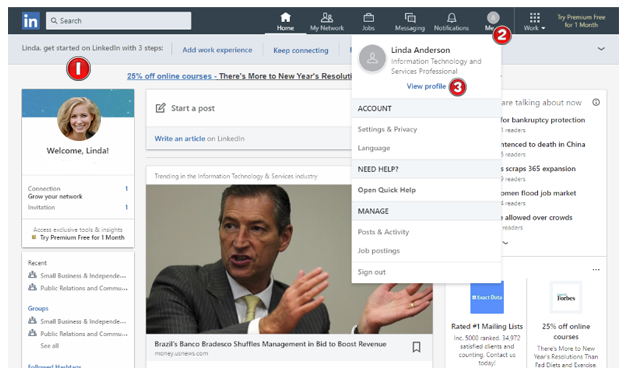 Social accounts have different instructions for adding links to profiles or pages. 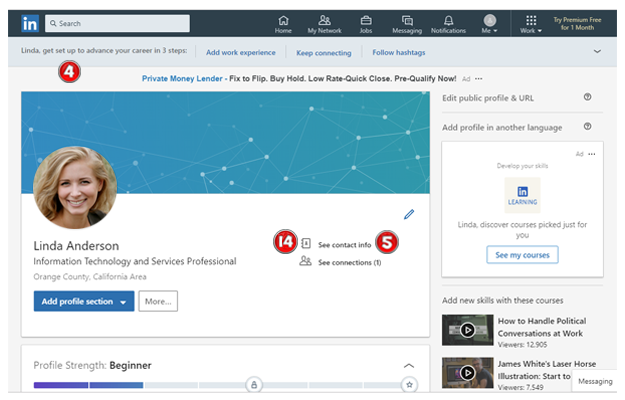 If you are a LinkedIn user, follow the instructions below to add a direct link to your Live Video Connector or your PBX Extension Line. View after logging in to your LinkedIn account. Click on the Me - Profile Link. A drop down will open, click on View Profile. Click on See contact info. The Contact Info Screen opens. The Edit Contact Screen will open. 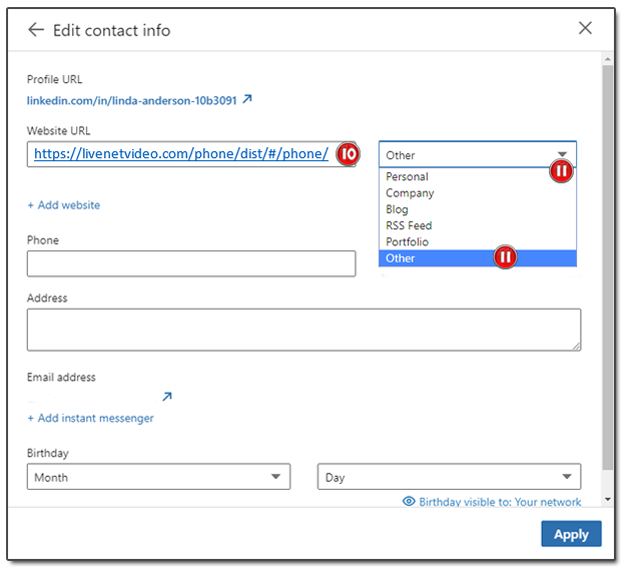 To add a link to your Live Video Connector or a PBX Extension Line, click on the + add website. 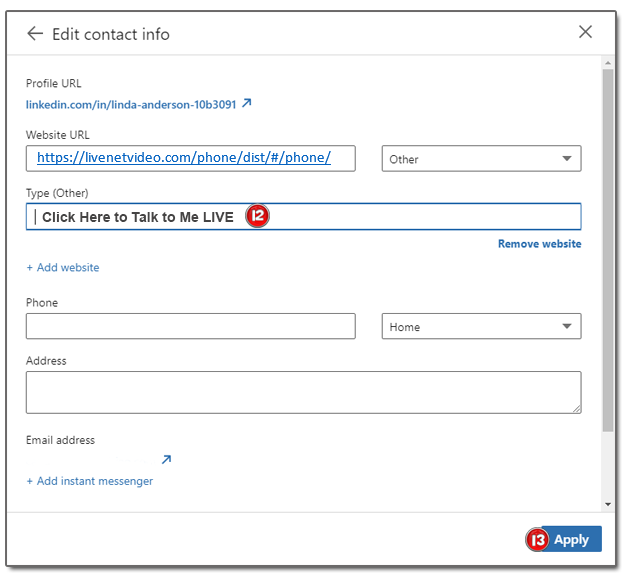 Type or paste the url to your Live Video Connector or PBX Extension Line you want to use. You will find this url on your Profile page or your Company PBX Extensions. Click the down arrow on the box next to the URL and select Other. After clicking on Other, a box will be displayed. In this box type the text you want to appear for the link (there is a limit of 30 characters for this field). Once you’re finished, click the Apply Button. 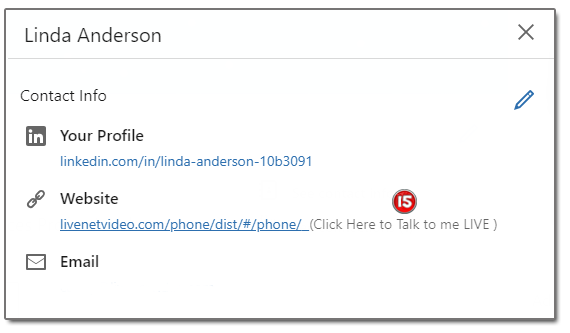 The link to contact you via Live Video Connector will be displayed when a visitor to your page clicks on the See contact info. 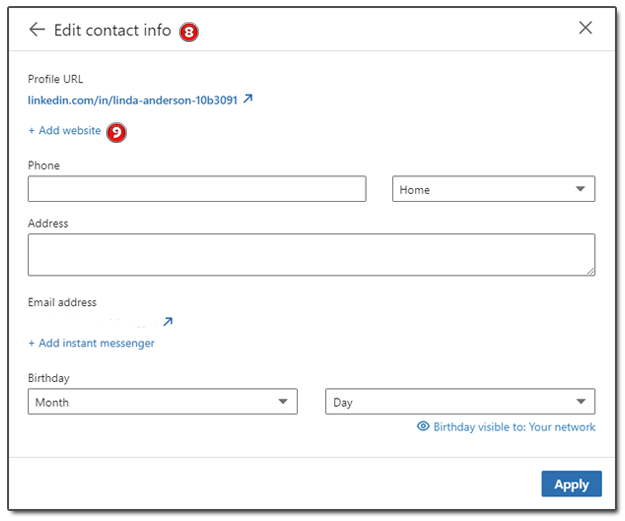 On the contact screen, all the user has to do is click on the link and they’ll be connected live to you.